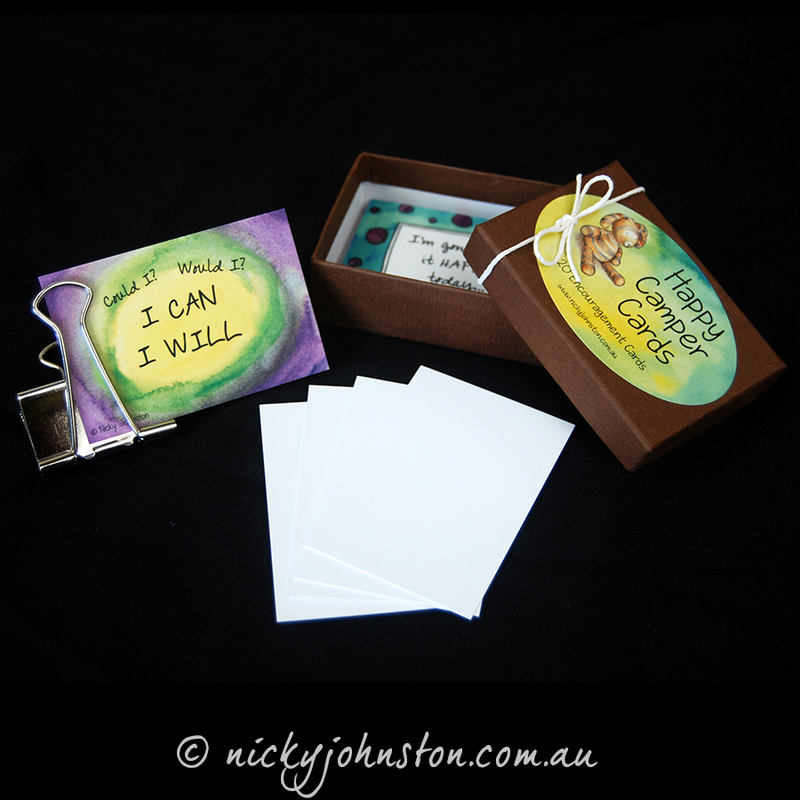 A beautiful set of encouragement cards to keep positive thoughts while on sleep overs or school camps. 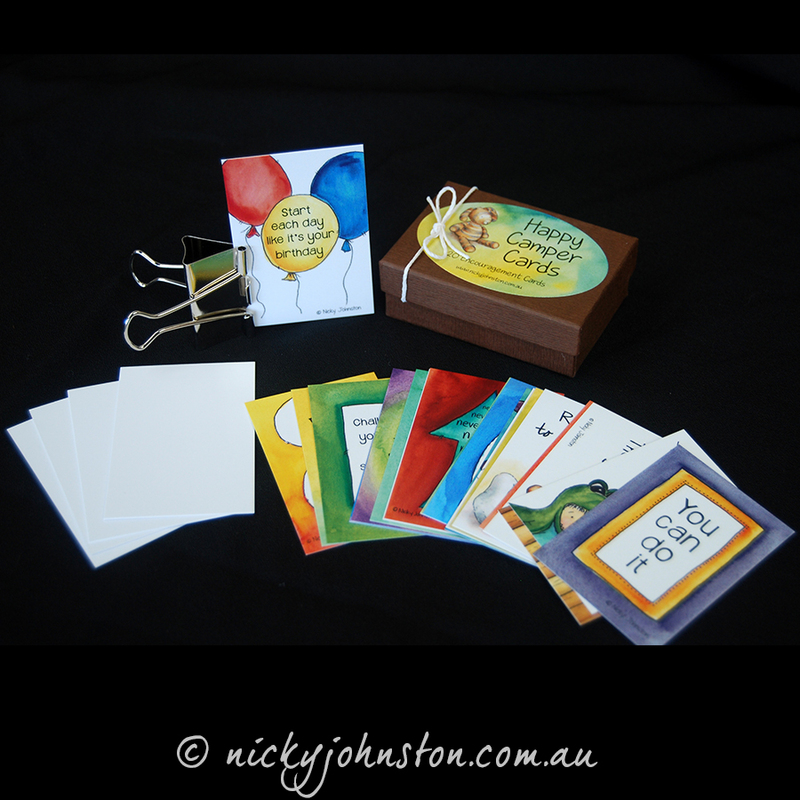 Perfect gift for child who may need a little encouragement while away from home. 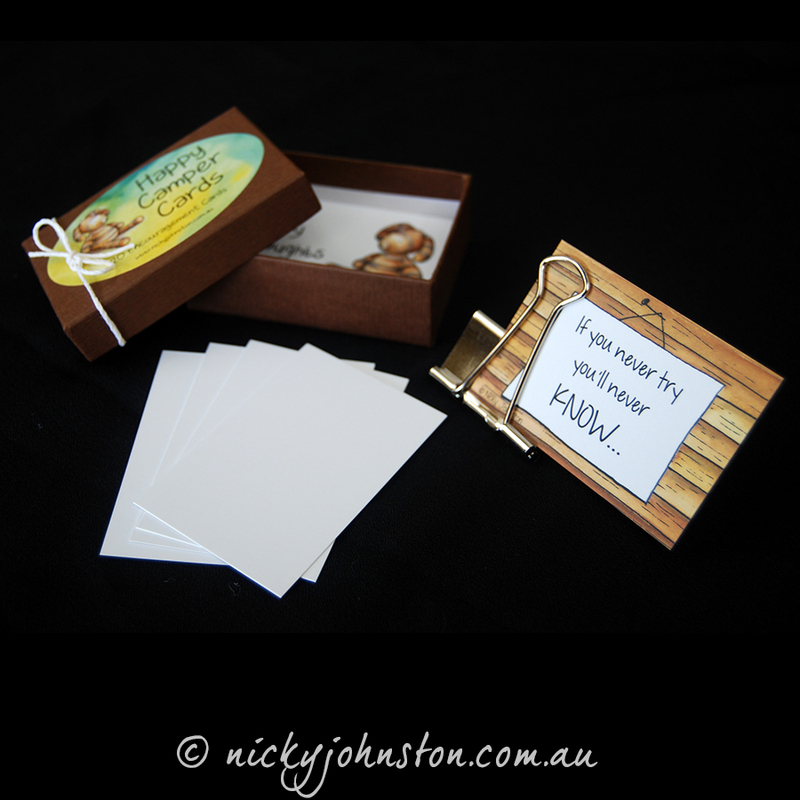 There are four blank cards included for personal messages also. 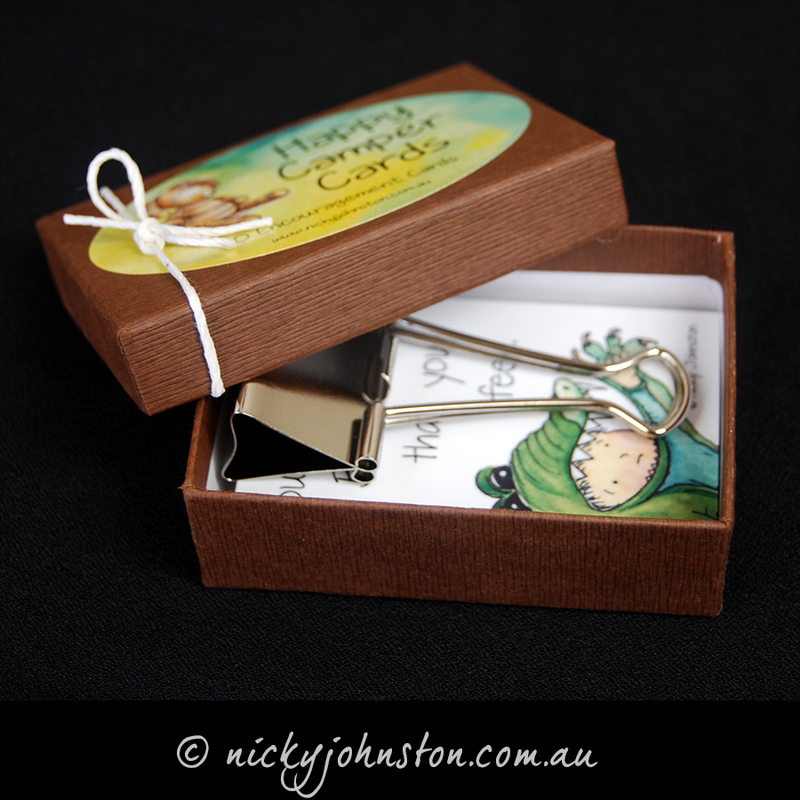 The clip can be used to display the cards in a variety of ways. See the pictures for examples. Display a different card everyday. 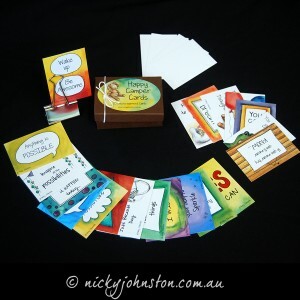 When I first heard of Nicky Johnston’s books, my initial reaction was “WOW!” as was my follow-up reaction when I read them and could see the immense positive impact they will have on the young children in our generation, in helping them to build mental acuity. 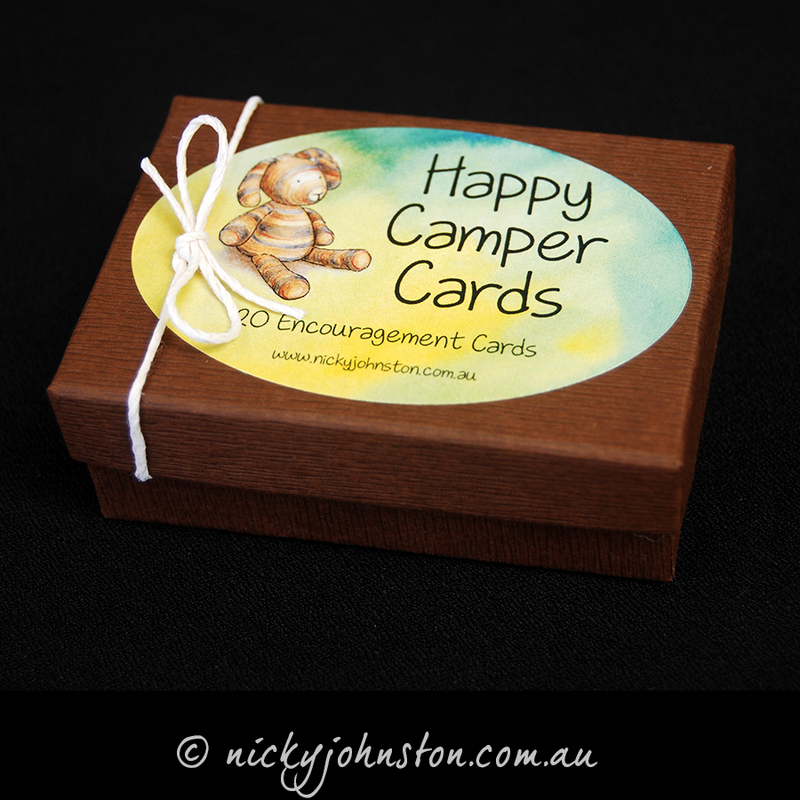 “WOW!” was the same reaction I had when I read about Nicky’s Happy Camper Encouragement Card Set. I ordered a set without hesitation, I gave the “You can do it!” card to a friend who needed it at the time, and immediately lifted her spirits. I gave the rest to my wife and asked her to clip a different one to her computer screen every day. 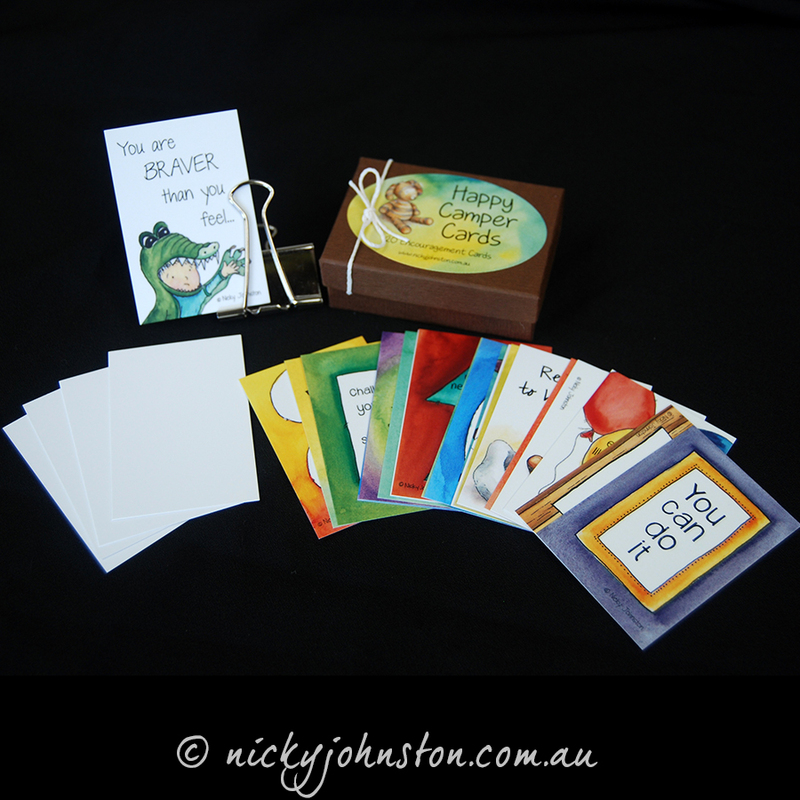 In all her work that I have seen, Nicky matches her talent for design and artwork with positive messages and insights. The Happy Camper Encouragement Card Set is a perfect example. If you are thinking “should I buy a set” just swap the words ‘should’ and ‘I’ around, you will be thankful to yourself that you did. I was!